According to the Merriam-Webster Dictionary, the word custom means, “made or performed according to personal order.” At VisionAmp Marketing, our websites are all created from a custom website design with input from our clients and are never created from a template website design. But what does it really mean to have a custom website design? 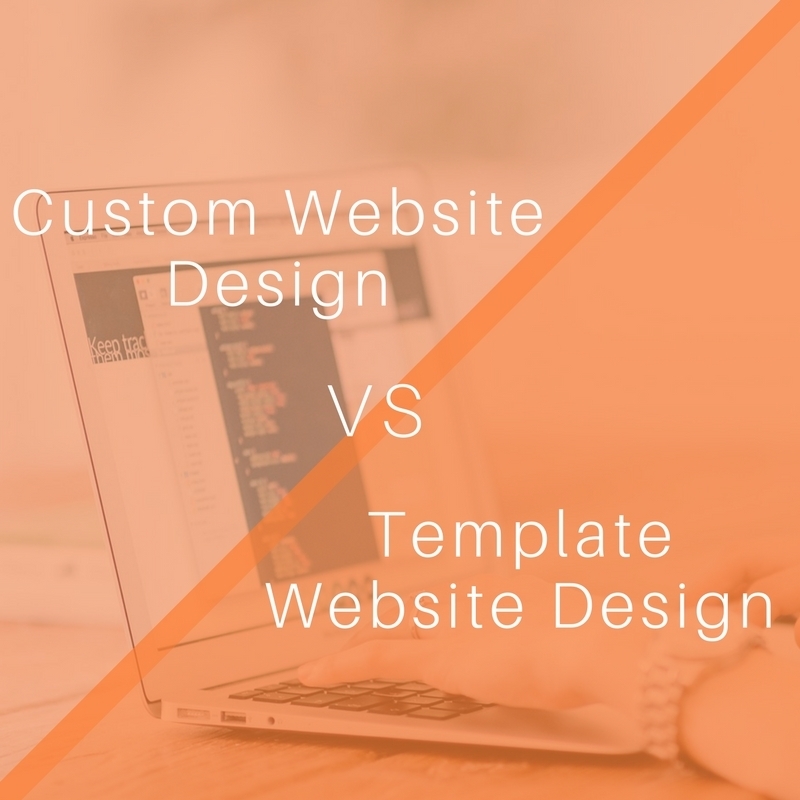 What is the difference between custom web design and template web design? When you choose to go with a custom web design, you are saying that you want your website to be unique and different from your competition. When you choose a template website design, there are thousands of other businesses on the web with the same look. Even with minor customizations, many still look the same. Creating a unique look also helps with creating a unique online brand. When you work with a company like VisionAmp, we do our best to make sure that we not only create a website, but that we also incorporate your company’s overall brand by including unique elements such as your logo, featured images, brand-specific color and font, and specific copy created just for your company or organization. Let’s repeat the title. Custom website designs are adapted to your company’s needs. When you work with a web design company or a web developer who can hand-code your website, you get a website designed to fit the needs and wants of your company. The web design can be tailored to fit your products with a shopping cart or it can have specific call-to-action buttons located in specific locations in order to drive your audience to make a decision such as booking a reservation or setting up a consultation. If you are an organization, your website can be set up to take donations or display videos. Adaptability to the many needs of a business and template web designs do not mix. While one website template offers you e-commerce but no custom call-to-action buttons, the other may offer those custom call-to-action buttons but cannot be used with an e-commerce platform. Getting all of the features your business needs and wants in a website requires extensive coding knowledge or choosing to partner with a company like VisionAmp to create a custom website design for you. Not only are our websites adaptable, but they are actively adaptable. What does this mean? At VisionAmp, we are constantly looking at your website traffic and data to see where people are clicking, what people are actually using, and how we can make the site convert better. We may change a button color or move a call to action to the right instead of the left to test and optimize to see what works better. These types of optimizations and changes based on data are EASIER when a website is built with a custom design and there are people, like the team at VisionAmp, watching and working with you to make your website successful. DOES YOUR WEBSITE DESIGN OFFER A CONTENT MANAGEMENT SYSTEM? Content Management Systems allow businesses to update and add new content to their website when needed. They can assign a person to update the calendar, change member photos, or update product inventory. When it comes to selecting a company to create your custom web design, you need to make sure your custom web design also comes with access to a content management system. At VisionAmp, our client’s are given an easy, user-friendly content management system developed and built in-house so they can make quick and easy changes with a click of the mouse. When you purchase a site with VisionAmp, your CMS is also custom built to be able to change exactly what you will need to change on a regular basis. For instance, if you know you'll be designing new header images once a month to advertise a sale or promotion, we will build a module in the backend for that! Many template web designs also come with a content management system. However, easy changes can take hours and one wrong click can wipe out important elements on your site. IS THE SAFETY OF YOUR WEBSITE IMPORTANT TO YOU? Building a website takes a lot of time and effort. Choosing to use a template-based web design, such as Wordpress, increases your site’s chances of being hacked. Websites using these types of open source frameworks are targets for malicious attacks due to the fact their source code is open to the public. Hackers can find and download the source code, find the vulnerabilities, and apply hacks to millions of sites overnight. When this happens, it can be a complete nightmare for the owner of the site. Not only can it take a lengthy amount of time to identify the issue and then find a fix for it (and then you may be out even more money to have them fix it! ), but you also lose credibility. No one wants to type in personal information on a site that has been hacked. You can lose hundreds of leads and potential buyers if you have products on your site. Although VisionAmp is not 100% immune, our websites are not targets or on the radar for hackers. Our source code is not public and secured. When it comes to choosing between a custom web design or a template web design, the decision is clear. Choosing a custom website design built by a knowledgeable and experienced company such as VisionAmp Marketing can not only save you time, but it can increase the number of visitors to your site. Our expertise in the field helps us design sites that WORK. They are user-friendly, increase leads, and conversions. What are you waiting for? If you are currently using a template website design, the switch to a custom and professional website design is easy with VisionAmp. Give us a call today 855.862.5491 and let’s get the conversation started!